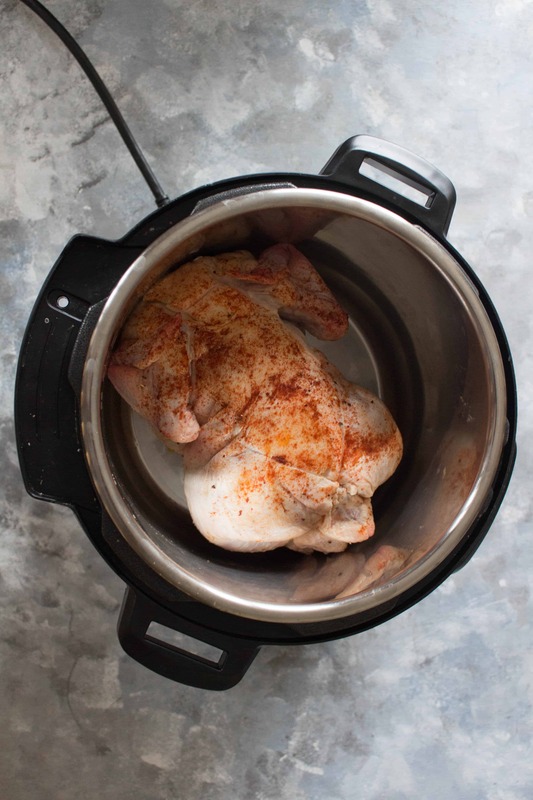 Curious as to how to cook a whole chicken in an Instant Pot? Keep reading to see how you can make a delicious, fall off the bone, and the juiciest whole chicken in an Instant Pot! Click here to pin this whole chicken recipe for later! I have the Duo Plus 9 in 1 Instant Pot (6 qt) and this is the one that this recipe has been tested in. 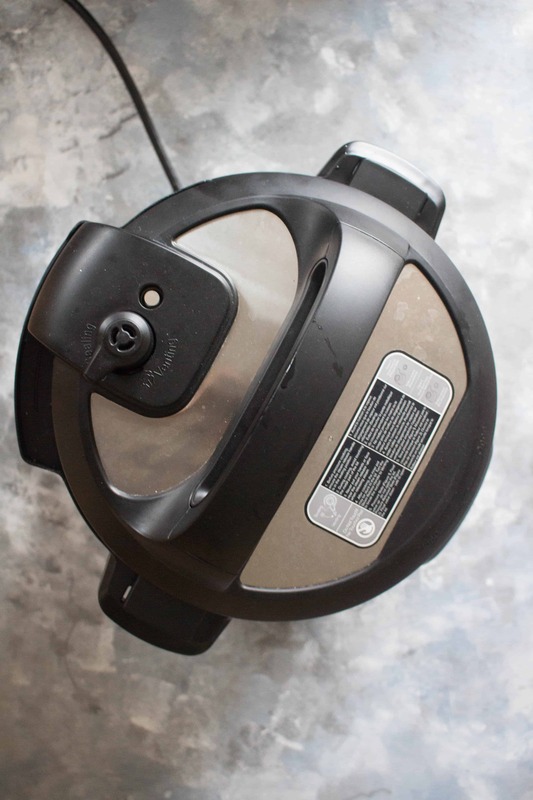 The Duo Plus replaces 9 commonly used kitchen appliances – Pressure Cooker, Slow Cooker, Rice/Porridge Cooker, Yogurt Maker, Cake/Egg Maker, Sauté/Searing, Steam, Warm and Sterilize. It’s quite the multi-use product! For more info on the Instant Pot, check out my What is an Instant Pot FAQ here! So this whole chicken made inside an Instant Pot is one of my favourite Instant Pot recipes right now. Made inside the Instant Pot, there is no basting involved or worrying that the chicken will dry out if you take your eye off it for too long. 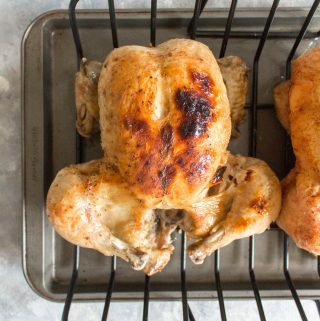 While I enjoy the crispy skin from baking a whole chicken traditionally, the Instant Pot version can have just as if not more crispy skin as I popped the chicken into the oven to broil for 5 minutes. 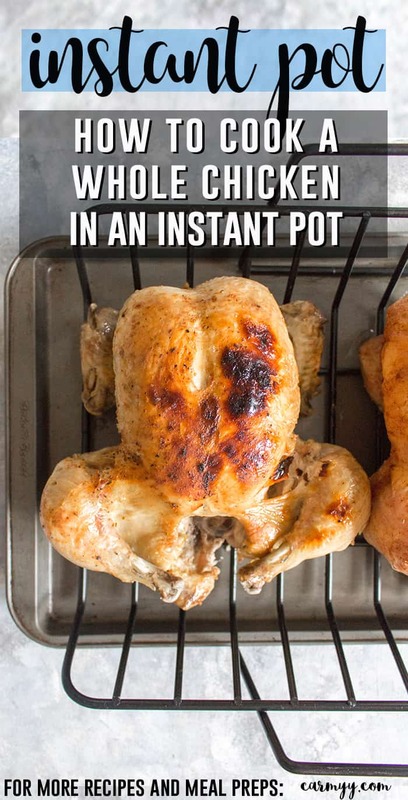 Also, by making the whole chicken in an Instant Pot, the chicken is literally fall off the bone! It’s so freaking tender and moist and so easy to take apart after it’s been cooked. Note: you can even see one of the drumstick bones practically falling off the meat just from me moving the chicken to the rack! Every pound of chicken should be cooked 6 minutes under pressure – this chicken was 3.8lbs so to make it easy, I cooked the chicken in the Instant Pot for 24 minutes. On sauté mode, drizzle in canola oil or oil of your choice. Place your seasoned chicken (seasoned with oil, salt, pepper, paprika then and inside the cavity, season and place a sliced lemon and garlic inside) breast side down, still on saute mode, into the Instant Pot. Let it cook for 6 minutes. After 6 minutes, flip your chicken. This was pretty much the hardest part. It took a pair of tongs and a spatula to flip the whole chicken! Then put in a cup of water/chicken stock/broth. Turn the valve to sealing and set to 24 minutes (if you have a 4lb chicken) then let it natural pressure release before removing the chicken! Bam! 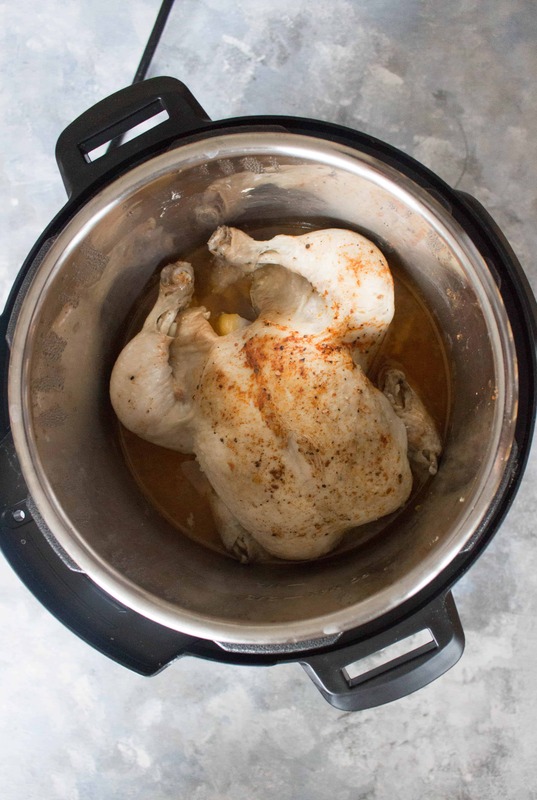 A whole cooked chicken in the Instant Pot! After removing it from the Instant Pot, to make the skin super crispy, I set it in the oven to be broiled for 5-6 minutes. Keep an eye on it! RELATED: Got leftover chicken? 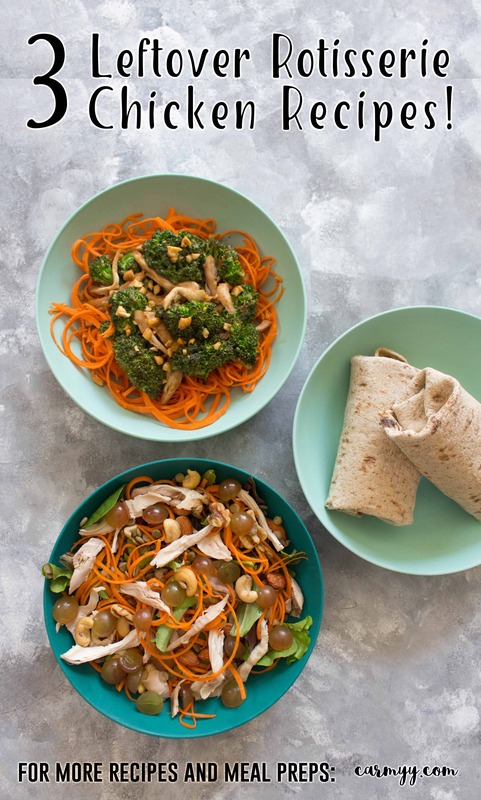 Try this delicious and easy spicy chicken wrap for lunch the next day! Season your chicken (oil, salt, pepper, paprika) and inside the cavity, season and place a sliced lemon and garlic inside. On sauté mode, drizzle in 2 tbsp canola oil in your Instant Pot. Then place the chicken, breast side down into the Instant Pot. Let it cook on saute mode for 6 minutes. After removing it from the Instant Pot, to make the skin super crispy, I set it in the oven to be broiled for 5-6 minutes. Optional: Rub your seasoning onto the whole chicken and let it sit in the fridge for an hour before cooking. 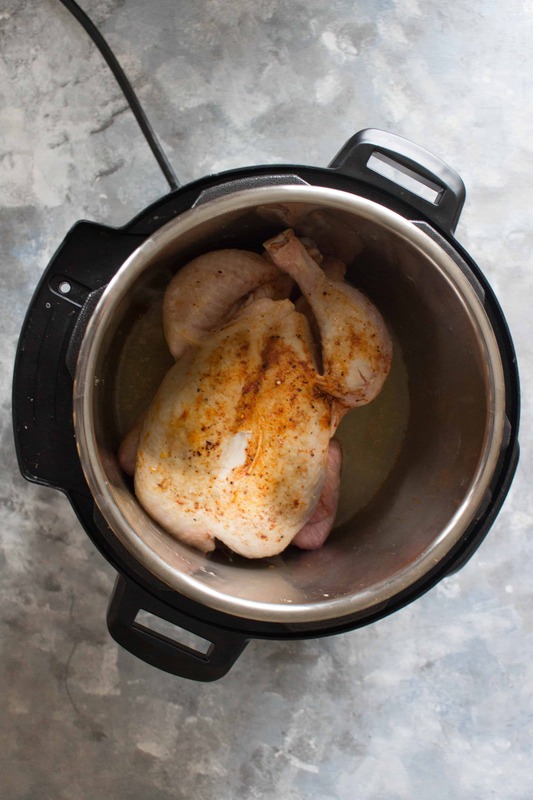 Now… What to do with a whole chicken cooked with the Instant Pot? Curious as to how to make stock in the Instant Pot? 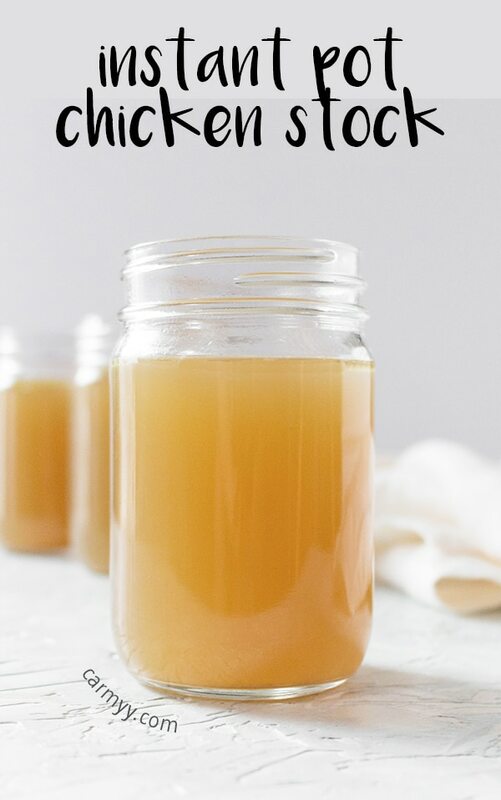 This post will guide you through how I make homemade chicken stock in the Instant Pot! 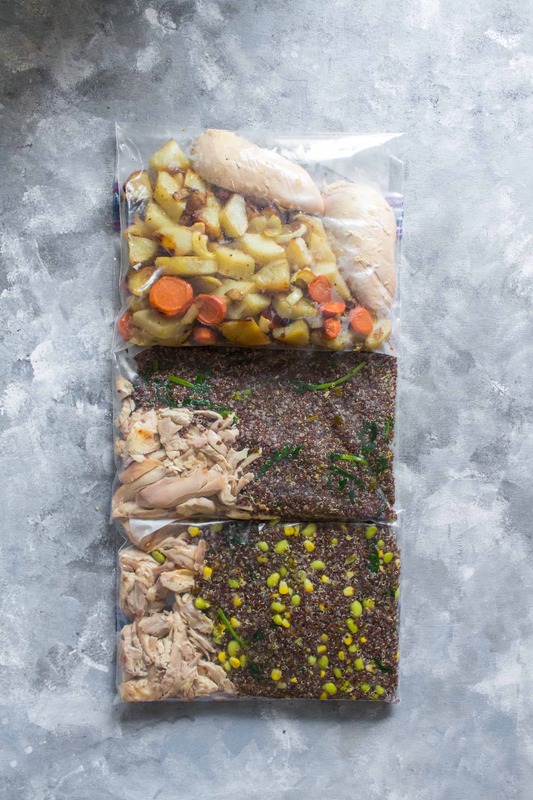 Check out this post here on my three freezer friendly meals that you can make (and freeze for later!) with a whole chicken! 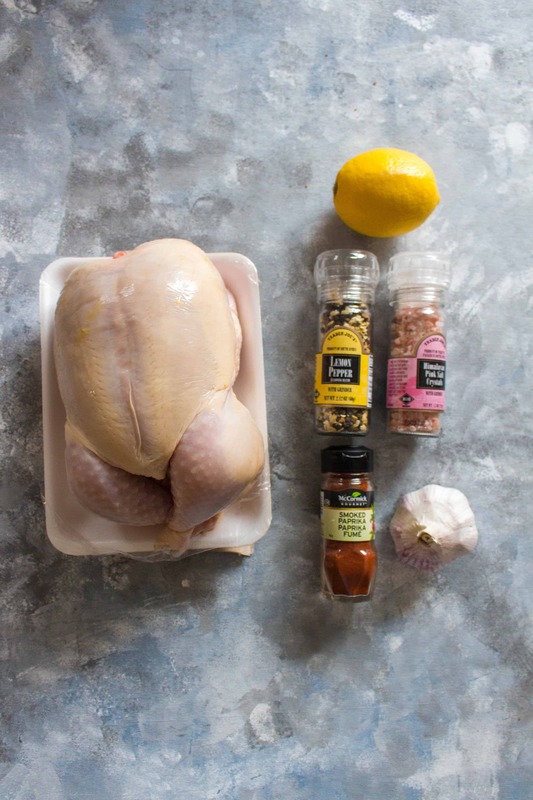 Perfect for a meal prep if you’re freezing it or as a family dinner with the whole chicken! Here’s 3 other ways to use will all the meat if you Instant Pot a whole chicken! Lets Chat! What’s your favourite way to use your Instant Pot? 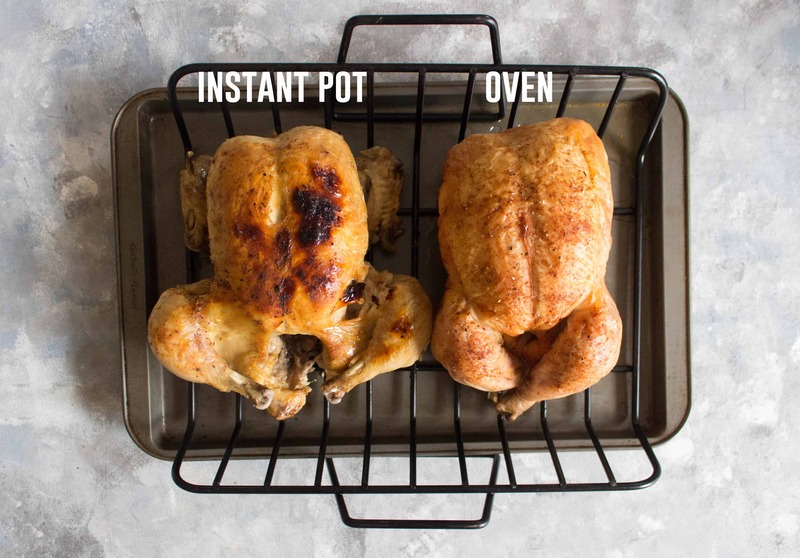 Will you try and cook a whole chicken in an Instant Pot? Looks delicious Carmy!! I’m anxious to give this a try for Sunday night’s dinner, yum! In your bullet points at the beginning of the article about how to cook chicken I was confused by the description: for every pound of chicken it should be cooked 6 pounds under pressure. It wasn’t until further along that I found that you meant 6 minutes per pound using pressure. Ah! Apologies for the typo! Thanks for catching that, I’ve updated it now. After you saute and flip do you switch to manual? This is a question I find myself asking when I look at many recipes. After it is flipped, you change it to pressure cooking setting for 24 minutes. This just blew my mind a little bit. I had no idea I could cook a whole chicken in there. Thanks!! Is your calorie count a typo? The calories is not a typo. The calories listed is for the entire chicken, not per serving. I’m still on the fence about getting an Instant Pot but when I come across recipes like this I feel inspired to order one. 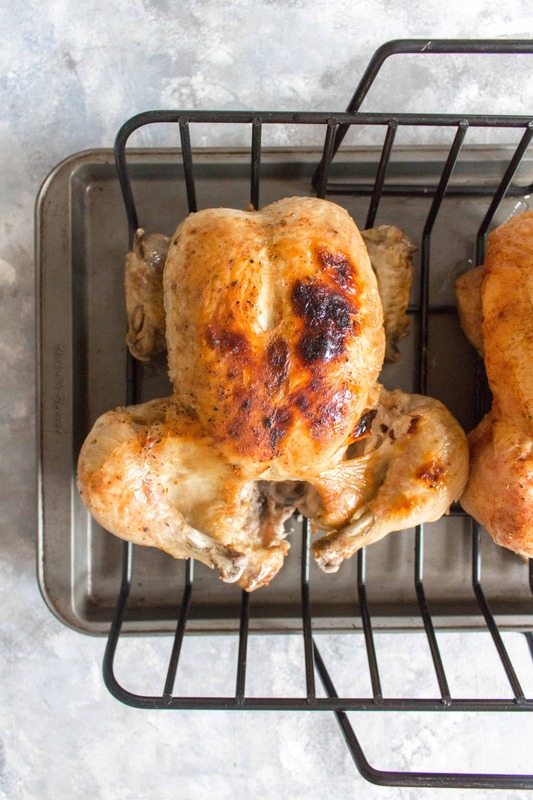 Looks like such an easy, no mess way to cook a whole chicken! Just another (delicious) sign that I need to get an Instant Pot ASAP! I love it! This looks super easy and I can’t wait to give it a try! Is there anything the Instant Pot can’t do? This looks like such a great way to cook chicken. 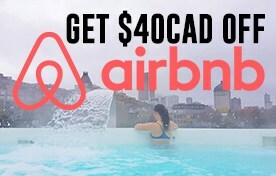 Definitely giving this a try soon! The instant pot has become so popular. Your instructions are really good as well as the photographic instructions. 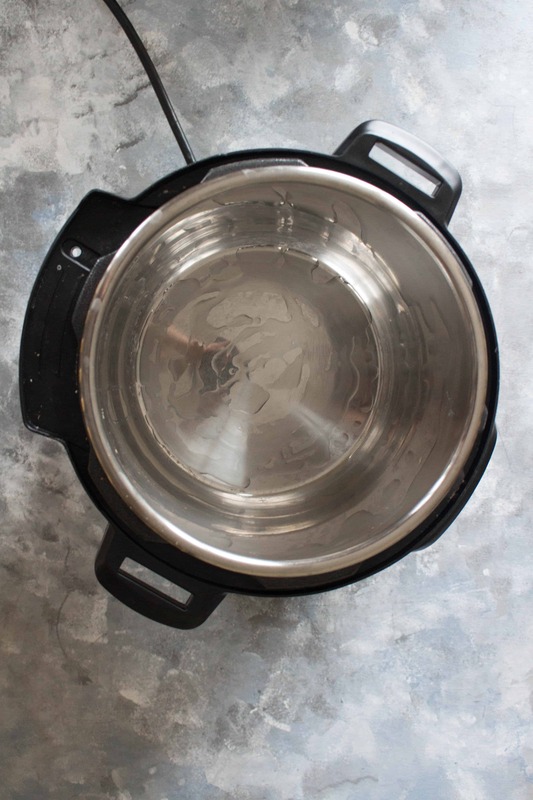 Wow- yet another way to use my Instant Pot! I’ve got to try this! Love the step by step photos, thanks! I bought an instant pot just to try this recipe and was not disappointed. It was so easy, quick, and the chicken was unbelievably juicy! I’m so glad to hear! I hope you try out the other recipes! Hi, I just got an instant pot for Christmas and wanted to make a whole chicken….I like your recipe but wondered, can the chicken be frozen or does it have to be thawed? This recipe is for a thawed chicken as I seared it on both sides. I haven’t tested it with a frozen chicken unfortunately.